I admit it; I am an absolute fool for Christmas movies. So, with myself and so many other fans of Christmas films, why are there so many less-than-great Christmas movies? It probably has something to do with the laws of supply and demand. During the holiday season, most of us want to watch movies about the holidays. Consequently, there's a big demand. But it's hard work to write a great script for a Christmas film, and difficult to produce one. Thus, we have a lot of cinematic offerings that, were they not about Christmas, would probably never have been made. On the other hand, some of the best-loved films of all time have been Christmas-related. Scenes from these movies stand out in our minds clearly: Bing Crosby and Danny Kaye putting on a show, Judy Garland writing Christmas cards, Jimmy Stewart telling Donna Reed that it is, indeed, a wonderful life. What follows is a list of my favorite Christmas films; it does not pretend to be the indisputable last word on the subject. It is not based on popularity polls. It is subjective. If I've left off your favorite film, don't despair. If there's a Christmas movie on this list that you haven't seen yet, get going! Christmas in the Clouds. This is a very charming film, with a lot of holiday cheer, some really funny American Indian humor, great western mountain scenery, and understated acting. Miracle on 34th Street - With Natalie Wood as a child who doesn't believe in Santa. There was a remake, but who needs the remake? Scrooged - What can I say? I love this film. Bill Murray's great, and so is everyone else. White Christmas. Although the character of the retired (and still proud, but not shrewd, from a business viewpoint) General doesn't really spend a great deal of time on stage, his poignant dilemma is really the whole turning point of the movie. That may be obvious - in fact, it is obvious - but as we baby-boomers age, it's interesting to watch how many "old generals" among us flounder, and require the help of those who are younger but, at least in some aspects of modern life, smarter. Something to think about, the next time you view this film. Going My Way - Bing Crosby as a young priest, Barry Fitzgerald as an old priest. Touching. The Bells of St Mary's - Bing Crosby as a priest (again), Ingrid Bergman as a nun. A great movie. Borrowed Hearts. With Roma Downey, and that guy who played Will in "Will and Grace." This was a made-for-TV movie that turned out to be anything but run-of-the-mill. The script is a delight, the acting is great. One of our readers was kind enough to let us know that there's a new (2010) DVD version that does not suffer from the same editing issues of the old DVD version. The Holiday (2006). This is a different kind of Christmas movie, but one that really works. It's sophisticated, isn't particularly "family entertainment," but is very charming. Starring Kate Winslet, Cameron Diaz, Jude Law, and Jack Black. Short list, right? Of course, a new one could come along any day now. I'll be watching. Somehow, I never got around to watching A Christmas Carol; that is to say, the film of that title made in 1951, starring Alastair Sim. It's on my list of Christmas movies to watch in 2009. Another Christmas movie I'll be seeing for the first time in 2009 is Holiday Affair, starring Robert Mitchum, Janet Leigh, and Wendell Corey. 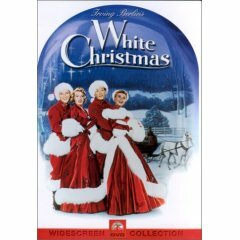 The film was made in 1949, and since I like the three stars of the film, and I like Christmas movies, I'm thinking I should like this movie. Single Santa Seeks Mrs. Claus - This sounds like a silly title, but it stars Steve Guttenberg, and Crystal Bernard, who played Helen on "Wings." Update: This was silly, and I'm guessing the scriptwriter got coal for this effort.... but Steve Guttenberg and Crystal Bernard are nevertheless enjoyable to watch. If you are able to make it through this film, and you're very brave, you could try the sequel.